Suturing and knot tying in the closed confines of the peritoneum or retroperi-toneum take mastery of laparoscopic dexterity to its maximum extent and clearly separates those with experience from the novice. Laparoscopic training is evolving with the advent of sophisticated, high-end computer simulation equipment and these tools are just beginning to make inroads at academic centers. Laparoscopic suturing has been previously regarded as the "master technique" in endoscopic surgery. Suturing and knot tying in the closed confines of the peritoneum or retroperitoneum take mastery of laparoscopic dexterity to its maximum extent and clearly separates those with experience from the novice. But as time stands still for no man, technology and the advancements of instruments and, particularly, robot-assisted technologies are beginning to level the playing field in modern laparoscopic centers. In the past, we could have written solely about laparoscopic suturing instruments, techniques of extra- or intracorporeal suturing and knotting, and the various nuances of suture materials and needles that augment laparoscopic techniques. Some mention of skill acquisition has always been necessary as well. This no longer suffices, however, as advanced laparoscopic urologic reconstructive procedures are proliferating rapidly with fully intracorporeal sutures and knotting techniques. It is now imperative to adequately cover methods of suturing skill acquisition. Some of the most intriguing basic research in surgery currently centers around the investigation of surgical skill acquisition, evaluating whether surgical skills can be learned better by some individuals versus others and the more adept individuals selected for training programs, or if all surgeons are potentially capable of obtaining a minimum degree of required competency. There is a growing base of knowledge regarding psy-chomotor skills, of which laparoscopic suturing is still considered the cornerstone. The potential magnitude of these questions will now be emphasized in this discussion on laparoscopic suturing. The need to measure and quantify laparoscopic skills has never been so acute. In this era of open public scrutiny, we must self-question our own methods. Competence in newly trained surgeons typically involves testing and attestation by his/her peers and mentors. Although laparoscopic skills do not readily correlate with performance of the open surgical counterpart, detailed investigations have shown promising results in our ability to standardize training programs. Also, surgery itself has a very lofty target to likewise mentor in regard to competency, similar to the aviation industry. Commercial airline pilots must have a first class medical certificate every six months, must check out with a flight simulator at least once a year, and submit to random tests for substance abuse. In addition, they have demonstrated a well-known loss of cognitive ability with age and, therefore, it is required that all commercial airline pilots retire at the age of 60. Sakti Das quipped recently that laparoscopic urology has passed through four phases of progress. 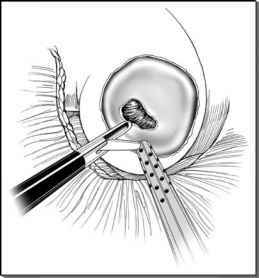 First was the phase of initial exposure where diagnostic laparoscopy was used to identify undescended testes. Second was the phase of initial exploration heralded by Ralph Clayman's first laparoscopic nephrectomy. The third phase was the decline in laparoscopic urologic surgery, thought by many to be secondary to limited benefits of certain "high volume" procedures such as pelvic lymph node dissection and varicocelectomy. The fourth or current phase of urologic laparoscopy is the re-emergence of more complex laparoscopic urologic procedures (1). Technology is the driving force behind this re-emergence and possibly represents the inherent appeal of minimally invasive surgery to patients (2). Proceeding with advances in laparoscopic urologic reconstructive techniques, the technology is rapidly progressing, especially in surgical robotics. One must fight the tendency to view such series with skepticism. However, the exact opposite extreme is, likewise, not necessarily true. Technologic surgery in its infancy arouses justifiable concerns, but some simple facts remain. Patients who are given an option of a less-invasive alternative will in many instances opt for it, regardless of sufficient evidence to support that decision. Next is the continual availability of newer technologies (i.e., telerobotic surgical systems) that potentially can make even the most arduous reconstructive techniques widely available. Third is the fact that a new generation of surgeons who have been exposed to these technologies and the laparoscopic environment for their entire careers is now available. There are now fourth-year residents at epicenter programs of advanced technologic laparoscopic teaching who have never seen an open radical prostatectomy. At other programs, there are residents who have seen virtually no open renal surgery. It is little wonder that this field is exploding. There is growing basic scientific evidence that patients are really benefiting from being less cut upon. The nay-saying philosophy of "why work through a keyhole when you can just walk through the door" is being eroded. There are an increasing number of studies indicating that minimally invasive laparoscopic surgeries cause less catecholamine response, less catabolic insult, and fewer intra-abdominal adhesions than open surgery. There are real reasons that this type of surgery will continue to advance and expand. With the advent of high-end, computer-enhanced robot-sutured reconstructions, it is seriously being questioned whether endoscopic sutured repairs may actually be better than their open counterparts with fewer long-term complications. Time will tell.